and Retail Signage throughout the United Kingdom. covering design, manufacture and installation. latest technology to make your ideas a reality. For the last 15 years we have been designing and making signs for some of the largest blue chip companies in the UK. Our wealth of knowledge, attention to detail and commitment to quality makes us industry leaders in the design and manufacture of bespoke signage. With the influx of new technologies, the signage industry is evolving at its fastest rate in years. Large businesses want to stand out from their competitors with something unique; this is where Mood Signs thrives! 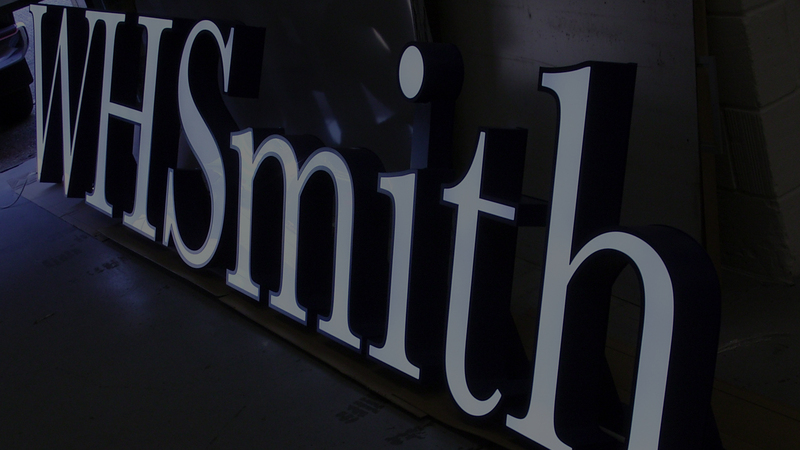 We develop new and previously unseen technologies to create signage that is truly unique. We offer a friendly and personal service and strive to exceed clients’ expectations whilst expanding on a portfolio that we are proud of. Mood Signs designs and manufactures bespoke signs to the highest industry standard. In 2013 we won the prestigious European Sign Federation Award for our sign design work. Founding partner Robert Mood has worked both in the UK and internationally for many years designing and building all types of signage for small independent businesses right through to large ‘blue chip’ companies. Our knowledge and experience allows us to find a practical bespoke solution to the most complex of design briefs. We utilise the latest materials and technologies available to us. This enables Mood Signs to offer our clients stunning and sustainable end results every time. We really like to push the boundaries of signage technology. 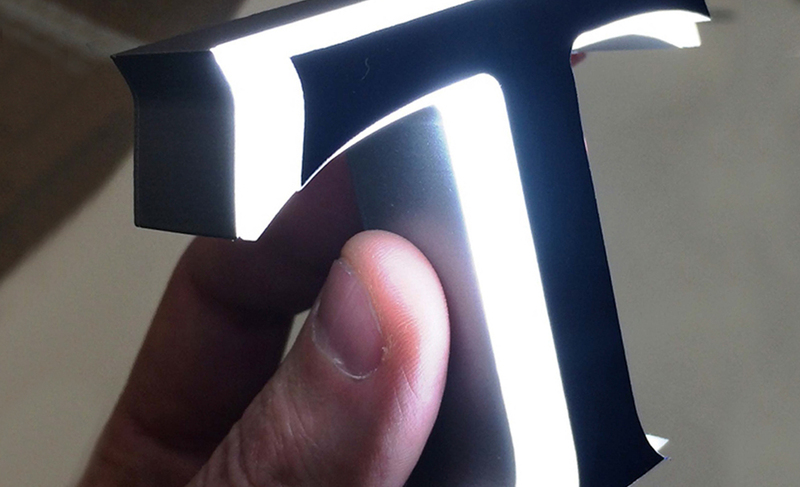 We developed an innovative technique of producing small illuminated fonts, which dependent on font style we can manufacture down to a stroke width of 10mm, depth of 20mm and a height of just 50mm! 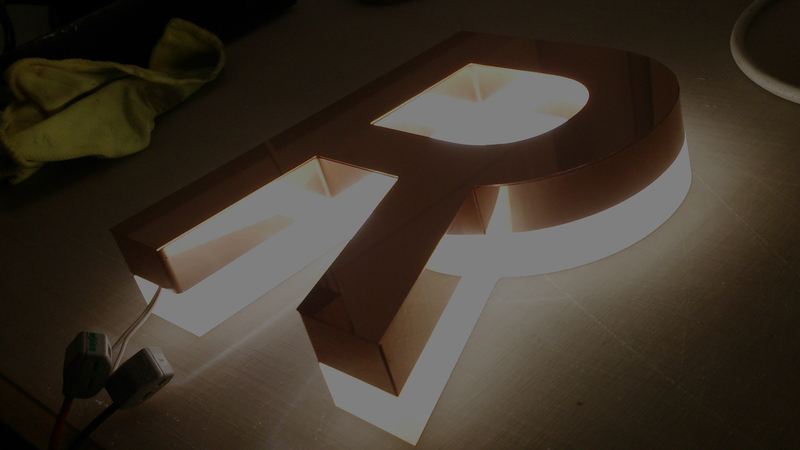 WE BELIEVE THIS IS AN INDUSTRY FIRST FOR AN ILLUMINATED LETTER OF THIS SIZE. This unique new signage was installed within London’s St Pancras station at the new Sourced Market outlet in June 2016. Please click here for the full details of the Sourced Market project. Neon signage is very popular but its limitations include cost, high energy use, short life span and its delicate nature. For all these reasons it is regarded as being not environmentally friendly. We recommend our new LED ‘Neon’ design which offers an excellent alternative option; all of the benefits of LED technology but none of the downsides to classic neon technology. 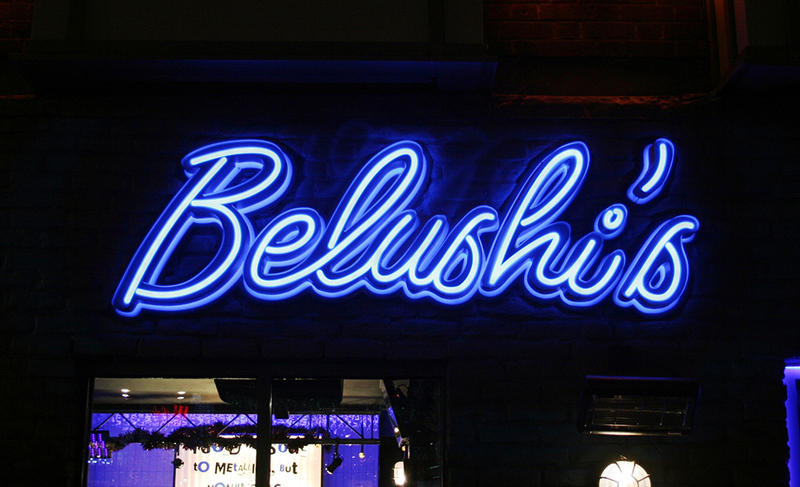 We used our new technology to create the signage at Belushi’s Bar and Grill in 2016. Please click here for full details of the Belushi’s project. Our experienced team of sign-makers has the skills and knowledge to manufacture all types of signage. All work is undertaken in-house ensuring speed of delivery and assurances of uncompromising quality and high standards. What sets us apart from the crowd. Our ability to produce the majority of our signage in-house enables us to efficiently control the quality and costs. It also provides assurances that we are able to guarantee the quality of our work. Our passion is evident in the quality and attention to detail we give to all our work. We are driven by the challenge to create. With the seemingly limitless choice of materials available ‘the possibilities are endless’! We aim to offer a friendly and reliable service with a consultative approach. We form a partnership with our clients that results in year after year of repeat business. Our reputation is everything, we won’t let you down. A very high percentage of our waste materials from manufacturing is separated and recycled. As technology is always improving, we are always keen to incorporate sustainable solutions in our sign designs where possible. Our knowledge and experience allows us to find an innovative and bespoke solution to the most complex of design briefs. We utilise premium materials and the latest technologies to offer our clients stunning results every time.